Drives Jones Bros to deliver quality service to our customers and a solid future to our employees. Jones Brothers Trucking is a company that will deliver on its commitments. 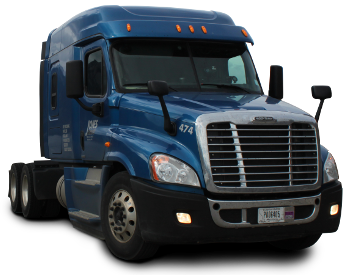 We are a flatbed shipping company located in Missoula, Montana where we operate as an irregular route, 48 state, and Canadian flatbed carrier. Our seasoned management team and skilled drivers are here to offer you the best, most professional service for all of your flatbed shipping needs. Each flatbed tractor/trailer combination has the ability to haul a minimum of 48,000 lbs and carries 8 ft lumber tarps, 4 ft steel tarps, straps, chains, and binders to secure various types of freight. All dispatch, sales, and management personnel began their career at Jones Brothers Trucking by learning to drive a truck and be on the road for up to one year. This requirement gives our management level employees an understanding of the day to day challenges of operating a flatbed truck in all parts of the country, as well as the laws and operations to understand the limitations of what can be done in most situations on the road. We're always on the lookout to add exceptional personnel to our fleet. Whether you're a veteran road warrior, or a green-horn still in need of training, we'll provide you with everything you need for a fulfilling career of a lifetime!